They say, you are as good as your profile is. And, rightly so. Regardless of the industry and field you operate in,having a well-written profile can increase your chances of attracting more customers. Similarly, having an outstanding profile can also lure in patients if you are a doctor or an administrator in a healthcare organization. However, not many doctors, physicians, and admin staff of healthcare organizations realize the significance of creating result-oriented profiles. Some try doing it but are not sure what to include in it and what not. Others totally miss out on the point of creating an effective profile and don’t pay attention to it at all. And then, there are some who think writing just a couple of lines will do the job for them. Considering the importance of creating a great professional profile, and how most of us miss the point when writing one, we decided to outline what should be included in a profile written for a doctor, physician or someone else related to the field of medicine. But before we go on and help you write a great profile, let’s first find out why writing a great profile is important anyways. Just as customers today look at the website of a company first before making a purchase to ensure it is trust worthy, patients also do the same. Conducting a quick online research is in everybody’s reach these days, thanks to smartphones and the wide availability of internet. Thus, when patients are looking for a doctor near them, they will most likely run an online search to find out the prospects. What differentiates one doctor from another one is their profile. Imagine coming across the profile of a doctor with just a couple of lines written under it and compare it to another profile that is thorough, personal and talks about the area of expertise of the doctor. Which doctor would you prefer going to? Obviously the one you know more things about. This is the power of a well-written, engaging, and result-oriented profile. Given the fact that customers are making use of user-review website more than ever before, it has become important for healthcare professionals to craft and cultivate their online profiles professionally and carefully. Consumers today have a great reliance on the internet when they are seeking information about not only healthcare issues but also the service providers. Patients today use doctor review websites to decide whether they want to go to a particular doctor or not. 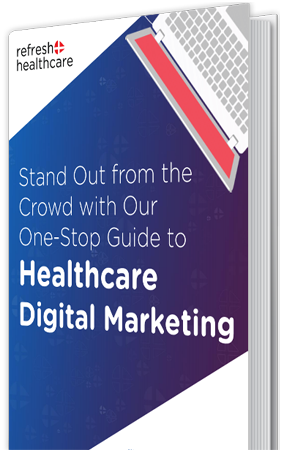 Thus, as healthcare service providers, you need to recognize the importance of having a well-crafted profile to affect the decision-making process of the consumers. You also need to understand how you can use some specific aspects of their websites to attract more patients. Here are some tips to help you create the best profile to engage, and attract more patients. These tips will help you in bringing more patients, and will definitely help the patients form a genuine bond with you. How do they accept new patients? Will they accept my insurance? What are their areas of expertise? What are the conditions they treat? What are the reviews of others regarding their services? Providing answers to these questions will help in narrowing down the pool for the patients. The choice consumers make comes down to convenience, expertise, trusted endorsements, and likability. If you want to create a personal connection with the patients, you need to get away from being too academic and too boring. You can convert a formal and standard bio into a compelling story allowing the patients to connect with you on a personal level. Don’t make yourself sound like a machine. Let them know where you grew up, your professional interests, field of expertise, hobbies and any other personal touches you want. Writing your profile in a conversational tone also makes it more engaging and result-oriented. Bios like this make you want to know more about the person. They are intriguing while at the same time give the reader all the information they need. Nothing can be more important than adding your education and experience to your profile. Starting from the latest degree, go on and mention all the degrees you have and the courses you have taken. Don’t forget to mention the specializations you have done as well, as they help the clients make a decision in your favor. Remember, patients always prefer to get checked by the physicians who have a specialization in their field. Adding it will automatically help you rank your profile higher than others. As for the experience, mention it the same way you will mention your education. Start from where you are currently working and under what designation. Then mention the work experiences you have had before. While the clients are interested in knowing where have you been working all these years, you may possibly get the attention of the recruiters who are looking for physicians with the same experience as yours. Adding your experience to the profile will always increase your chances of being preferred over other physicians. Your profile is a comprehensive collection of all that you have done until now in the professional field. This also includes all your achievements till date. Did you get a scholarship in the medical school? Have you written any papers that were published in some medical journals? Are you currently working on something that may revolutionize the medical field? Have you been awarded any award or distinction on your work in the current organization? Mention it all in the profile. Adding your achievements in your profile lets the readers know how dedicated and professionally sound you are in your work. This also helps attract the attention of other professionals looking for a physician like you for their hospital or other healthcare organizations. Nothing makes your profile more personal than adding your photograph to it. While most people are aware of this point, not many are careful about the kind of photograph they should put on their profiles. The photograph should be professional but not too stern. Your patients are going to feel connected to you when they see your photograph. It is like your first impression on them and you need to make sure it is great. Thus, add a photograph that shows how compassionate and friendly you are but at the same time, let it be professional. Smile when clicking the photograph and you are going to make a great first impression. A professional photographer can help you click the best professional photograph for your profile. Adding a video to your profile can increase the effectiveness of the inbound marketing efforts. It also helps in displaying a lot about your personality, attributes, and skills, philosophy of care and attitude. It also helps in developing a sense of familiarity and comfort in your patients before they meet you the first time. The video should connect with the patients on a personal level and should tell them that they are in safe hands with you. It is very important to add a call to action to your profile. It can include your address, timings and contact number. These calls to action are necessary for a patient to know what they need to do next in case they choose you. Don’t make it too hard for the patients to contact you. Add a simple appointment form they can fill to contact you. If done right, these calls to action can help you in bringing more patients to your service. 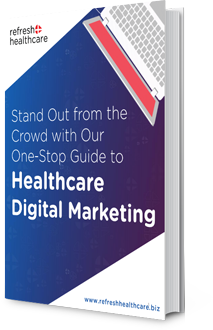 Add call to actions like trackable phone number, your email address or any other conversion point you think will help your patients reach you easily. Most of the healthcare organizations and personnel miss the mark in the evaluation and qualifying phase of the process because of lacking personal profiles. Having profiles with incomplete, inaccurate, or minimal education will not bring you any more patients. Also, in addition to adding these important things to the profiles, it is also important to make them engaging and interactive, while keeping a professional tone. With the addition of a video and some reviews, your profile will not only gain you more patients, but it will also contribute to the success of your healthcare organization. If you are not sure how to do it, let the experts at Refresh Healthcare do it for you. We have a team of experts who will work closely with you to create interactive, engaging and professional profiles for your doctors. Get in touch with us today to get started.